Suggested dose for adults, take 1 teaspoonful twice daily. 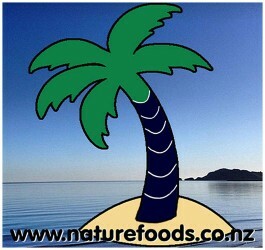 If using for first time, start with 1/2 teaspoon (with small amount of food) and gradually increase over two days. For centuries, the Black Seed (Nigella Sativa) herb and oil have been used by millions of people in Asia, Middle East, Eastern Europe and Africa to complement their health. Highly aromatic and spicy, this tiny seed and its fixed oil is used for a variety of supportive health benefits—help restore the natural balance of the body's vital organs and strengthen its natural defenses. Traditionally, it has been used to bolster vitality, aid digestion, respiratory, kidney, liver, inflammatory and circulatory support. Black Seed is grown in various countries and therefore known by many names such as Black Cumin (Egypt), Black Caraway (Turkey), Kalonji (India/Pakistan), Habbatul Baraka or the Blessed Seed (Middle East), among others. Ever since its introduction to the United States in the late 1980's, it has been commonly referred to as 'Black Seed' or 'Black Cumin' and often used as a spice in traditional Indian, Pakistani, Middle Eastern and Persian cuisines. Black Seed's medicinal use has a very rich traditional history that goes beyond ancient Eygptian and Biblical times. Some sources suggest that a bottle containing Black Seed was found in Tutankhamen's tomb and a biblical reference to it is noted in the Old Testament (Isaiah 28: 25, 27). Another important ancient reference to Black Seed's use is from Muhammad, the Prophet of Islam (PBUH)(Sahih Bukhari 71:592). Deeper research suggests that it was used as early as the 5th century B.C. by Hippocrates and by Pliny the Elder and Dioscorides. The first modern study on Black Seed was published in 1959 and since then, hundreds of studies at international universities and articles published in various journals have shown remarkable results supporting the benefits and uses of Black Seed alone or combined with other complimentary herbs. 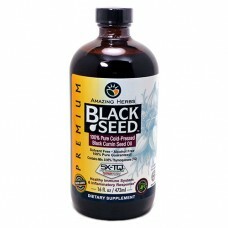 Amazingly Black Seed's chemical composition is very rich and diverse. It contains the phytochemicals thymoquinone and crystalline nigellone as well as anti-oxidants, amino acids, proteins, carbohydrates, fixed oils (EFA's 3/6/9), volatile oils, alkaloids, saponin, and fiber, as well as minerals such as calcium, iron, sodium and potassium. There are still many components in Black Seed that haven't been identified and research is going on around the world to help shed more light into this remarkable little seed.